These small Neodymium Magnets size N35 are useful for a variety of tasks such as magnetic field detection and temporary bonding applications. 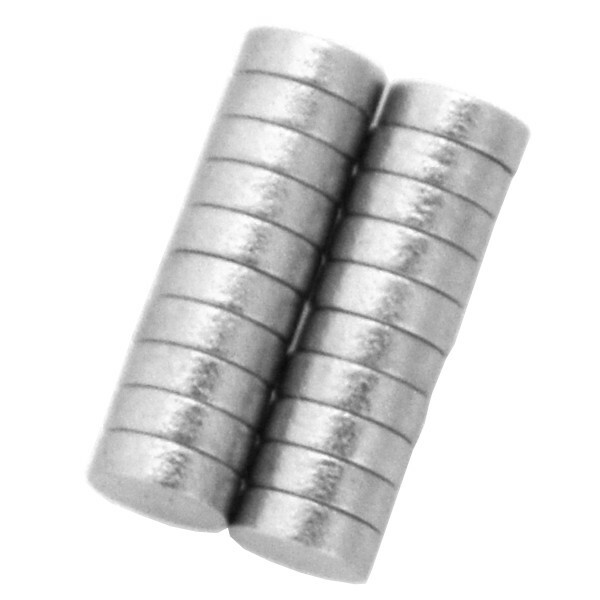 These magnets are only 3 mm in diameter and 1 mm thick but they are very strong. Create rotation encoders by using these small magnets along with magnetic sensors such as the 3144 Hall Effect Sensor. Strong neodymium magnets are also useful for bonding two surfaces together temporarily such as a lid to cover sensitive electronics. Please not to let young children play with powerful magnets because they can cause serious health problems when swallowed. 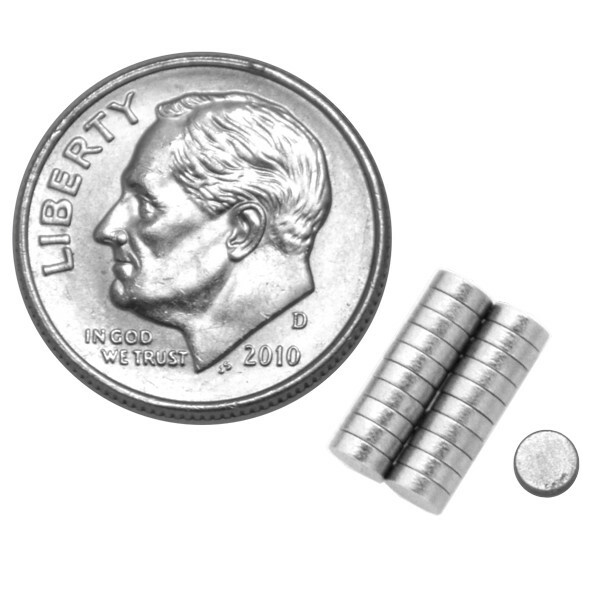 This package includes 20 tiny neodymium magnets.